Take a look at the floor plan of this apartment. It’s nice enough, sure, but does it look like a succesful 10-time Emmy nominee actor lives here? Well, he does. Mad Men’s Jon Hamm shares this 2 bed, 2 bath with actress ladyfriend Jennifer Westfeldt. And they have put it on the market. It’s not their primary residence, that’s LA, but they likely spent quite a bit of cash on renovating it. I love the sunroom in the back. Especially the window panes. But I would have done more with the space. Probably turned it into a conservatory with lush plants and flowers. And maybe I would’ve panelled the walls with low bookshelves. And the rug is very blah…. Despite its humble size, the apartment is listed for $2,450,000… It’s hard to believe, but I actually think that’s a trick to get it sold fast. The terrace is a massive commodity in NYC as is the view of Central Park. The price therefore surprises me a bit. However, true to NYC fashion, there are monthly charges of $3,661. That does include taxes, a part-time doormen and porter, a live-in super, storage rooms and free laundry facilities. So simple, yet so chic and effective. In both fashion and home-deco, nothing oozes timeless elegance more than a Breton stripe. For as long as I remember I have owned at least one Breton jumper. Perfect for when a wool v-neck has gotten too warm, and short sleeves are too chilly. In the home it works year round. It adds to the warm and cosy feel in autumn and winter when combined with checks, warm fires, (faux) furs and candles. And in spring and summer it matches with the green of plants in full bloom, wooden patio furniture, cool drinks in elegant glass ware and flowers. Try using it not just in patterns on throws and cushions, but also on walls (horizontal!) and even ceilings or floors. Jean Paul Gaultier turned them into ART! For me Breton stripes bring back memories to holidays in France with my parents and brother and sister. Throw in a pair of espadrilles and a baguette with Nutella and it’s all coming back! Is it me or did Zara miss the boat a bit with their new home collection? 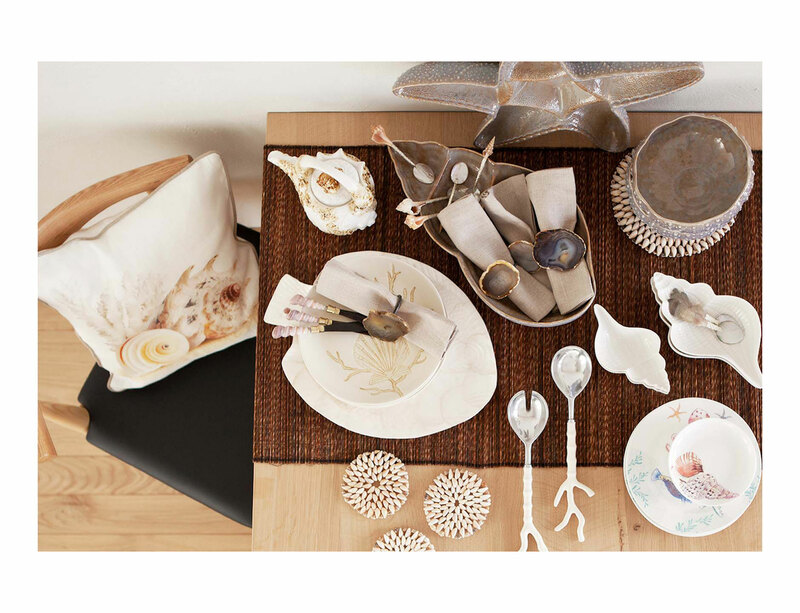 Shells, corals and coral textures, glass domes, bohemian wool patterns… I don’t know. It’s very much a ‘seen that before’ experience. It’s nice, and safe, but I am used to a bit more wow from them. 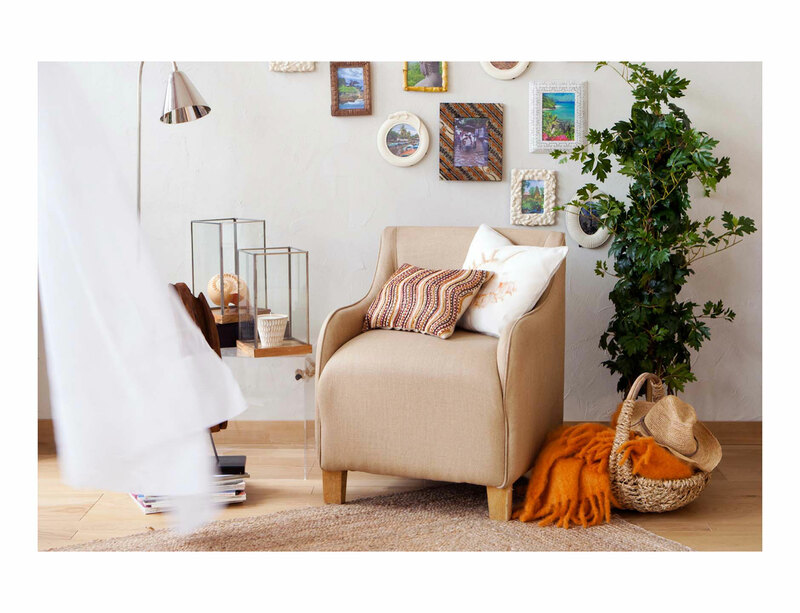 Zara Home new collection. Not sure I am a fan. How cool is this! Candle wax is great for recycling, but it tend to be hard to melt, pour and set to dry without clogging up your sink or ruining your pottery. 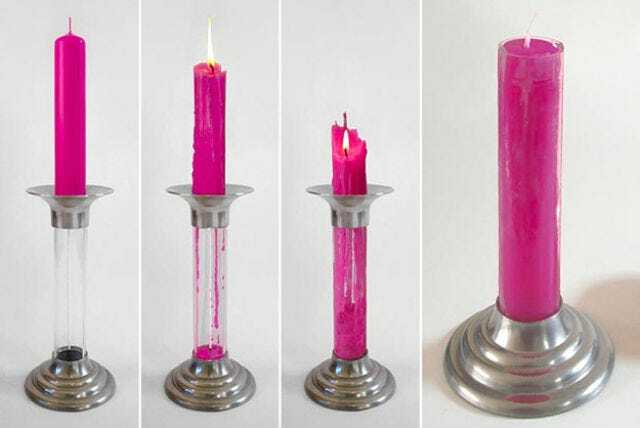 This The Rekindle candlestick holder by designer Benjamin Shine makes it easy, very easy. The wax melts back into the holder, creating a new candle on the spot. All you have to do is insert a new wick, and it looks as if even that is taken care of! City Box has undergone a considerable transformation. The Dutch branch of the supplier of storage space wanted to position itself as a quality brand and this meant its image of price fighter had to go. This called for a broad approach in which this vision had to be translated into concrete and tangible design ideas and implementations. The logo, pay-off, interior and exterior of the head office; work wear, signage of the branches, as well as the interior and exterior of the pilot branch in Den Bosch have been dealt with. 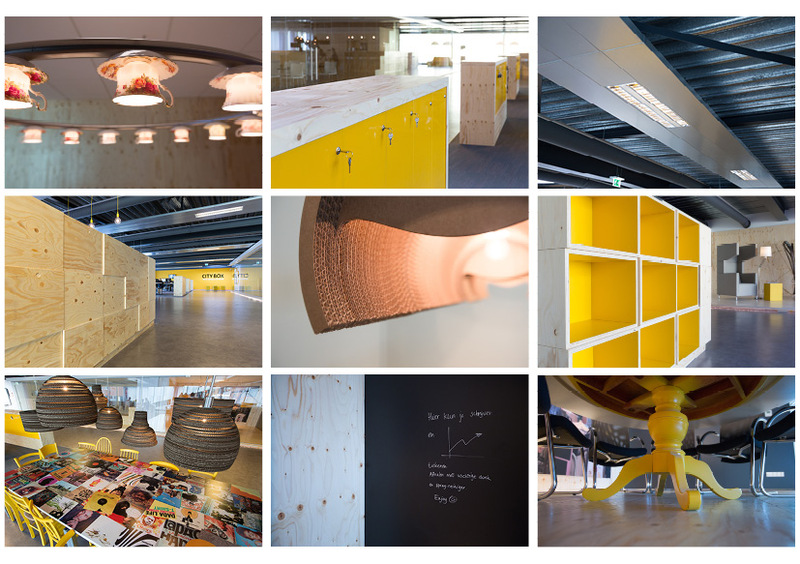 Amsterdam based Studio Babette Porcelijn was hired for this extensive operation. From the first moment customers connect with City Box, usually through the website or at one of the branches, they should feel welcome and that City Box is thinking along with them. In consultation with Babette, City Box’s Online Product Manager and external experts improved the website. The site addresses its visitors directly and offers them the possibility to arrange most things online. This functionality will be gradually extended in the near future. Not only the website, but also the reception area of the branches were improved. Before, clients had to ring the bell so an employee could let them in. Now, the door automatically opens. 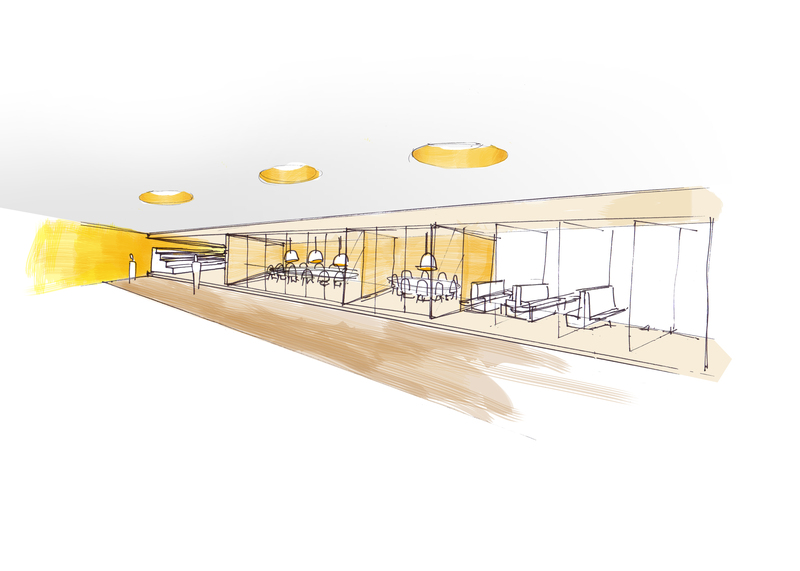 Babette designed a coffee corner for the pilot branch in Den Bosch where customers and employees can have a quiet conversation, or customers that are in the middle of moving house can recover their breath. The customer experience plays an important role in the new service centre that Babette equipped. Next to high-end materials Babette also used second hand products, building materials, and cardboard in the design of the interior. A counter made from stacked up removal boxes, different types of chairs all spray-painted in one colour, lamps made from porcelain cups or cardboard, a table top featuring old record sleeves, and Persian rugs; they all refer to the world of moving house, renovating or storing dear personal items. Babette has a degree in Industrial Design Engineering at the TU in Delft. She spent ten years working for design agencies as a communication designer. Her clients included Sara Lee, Heineken International, KLM, and E.ON, but also for small and medium sized enterprises. Since 2011 Babette has been working as an independent strategic designer. She develops the strategy, design, and content of communication means. She works cross-media, creating interior design, graphic design and interactive design. Among her clients are ‘dienst Noord/Zuidlijn’, Griph law & tax, KWPS, Urban Resort and Pit4Business.